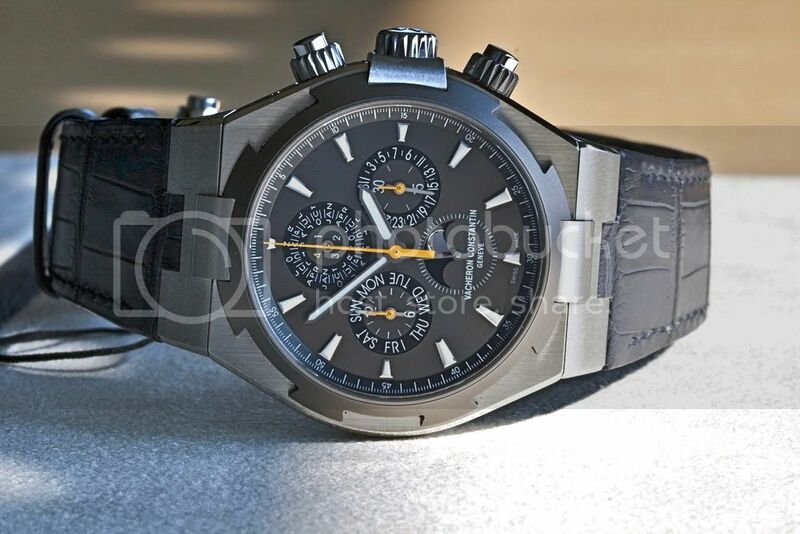 Alex Ghotbi, moderator of Vacheron Constantin’s discussion forum ‘The Hour Lounge’, just published hands-on pictures of the new Vacheron Constantin Overseas Perpetual Calendar Chronograph. The stainless steel case with titanium bezzel measures 42 mm, and houses the automatic caliber 1136QP. This entry was posted on May 26, 2011 at 12:13 and is filed under all, front page, news. You can follow any responses to this entry through the RSS 2.0 feed. It reminds my of AP ROO. I’m a fan of the roo but this is better than any annual or perpetual calendar I’ve seen from AP. Man. Sadly 60k puts it out of my league.